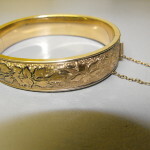 This time the subject is bangles of the antique, gold filled variety. 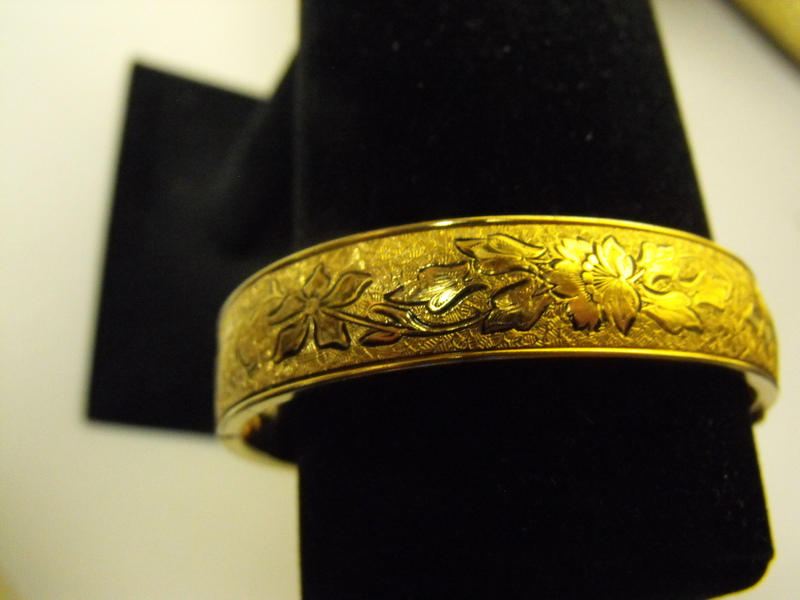 This bangle is signed Winard…..a very old and trusted name in jewelry. 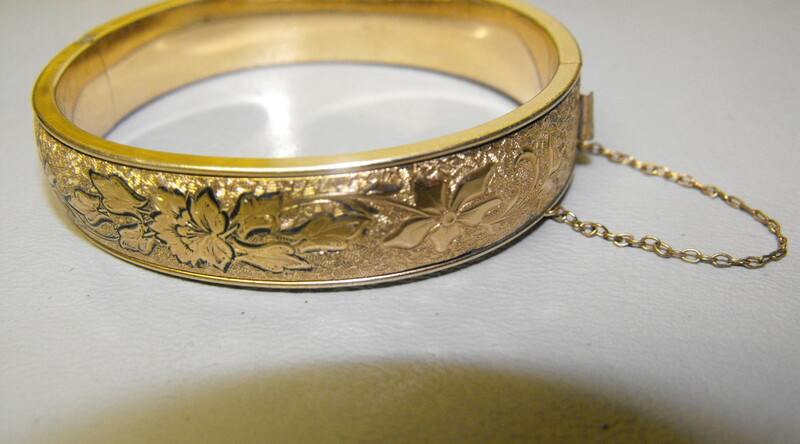 The bangle is stamped 1/20 12-kt. 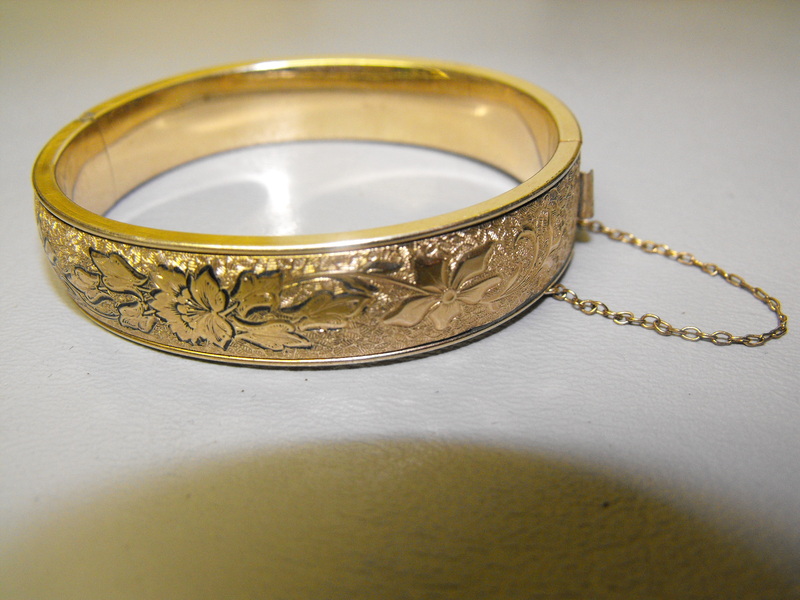 This beauty has floral etching completely around the entire bangle. It measures 1/2″ in widthe and 2 1/2″ inside diameter. A safety chain is attached and opens and closes with a tongue and slot clasp. 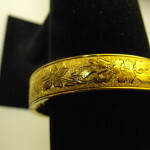 There are no dents and this antique bangle is in beautiful condition. So make a statement by dangling a bangle.